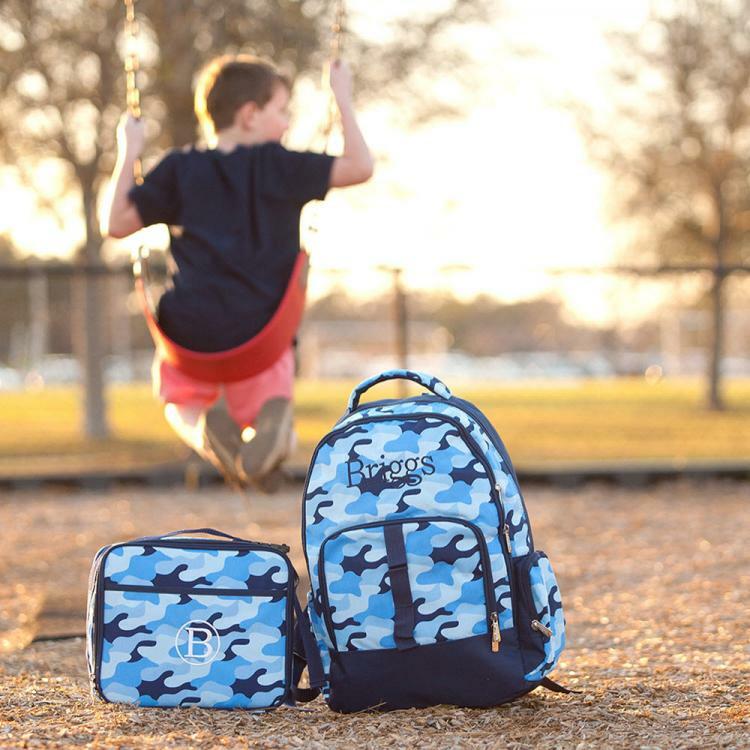 Cool blue camo packs the fuel a boy needs to keep going. Pack lunch inside and stash a few treats in the handy pocket on the outside. 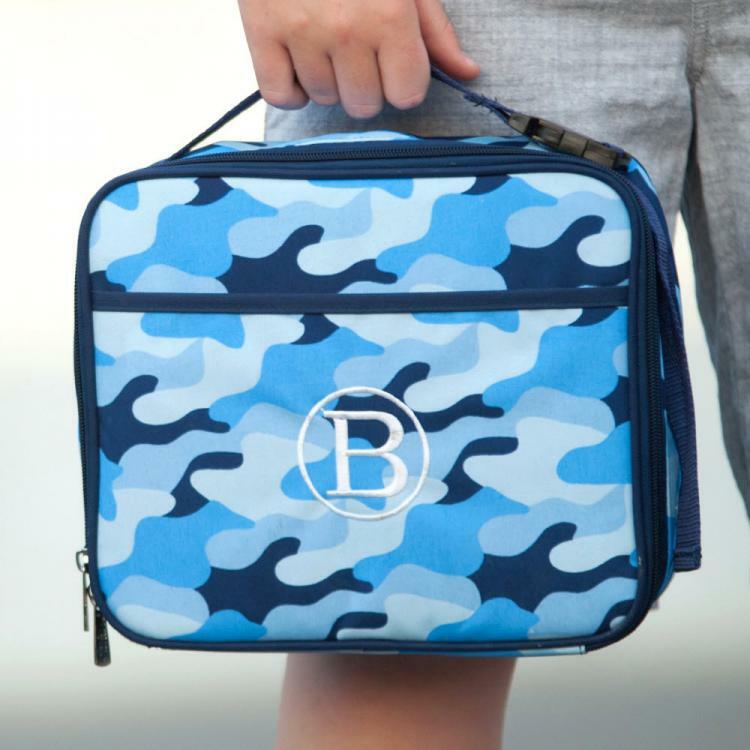 Easy-care polyester with an insulated lining and a sturdy zipper, this lunch box will store many meals and snacks to fuel any active life. The small exterior pocket is great for utensils or small snacks. The interior is roomy enough for a storage container and a water bottle. Easy-peasy packing and everything in one place. 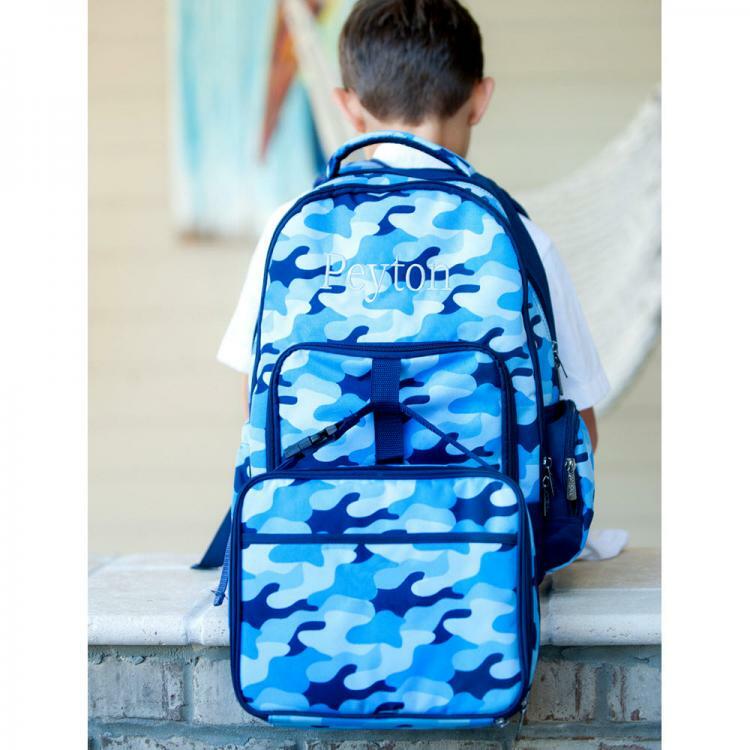 Perfect fit for storage containers, water bottles, utensils, and small snacks. Price: $32.00 In stock! - Browse this brandOur products are custom made to your specifications. This product ships up to 1 weeks after your order is placed.